Marathon (United States) (AFP) - The young patient writhes on the operating table, kicking its flippers. A team of medical attendants turns it over, revealing an underbelly cluttered with tumors, some as big as golf balls. 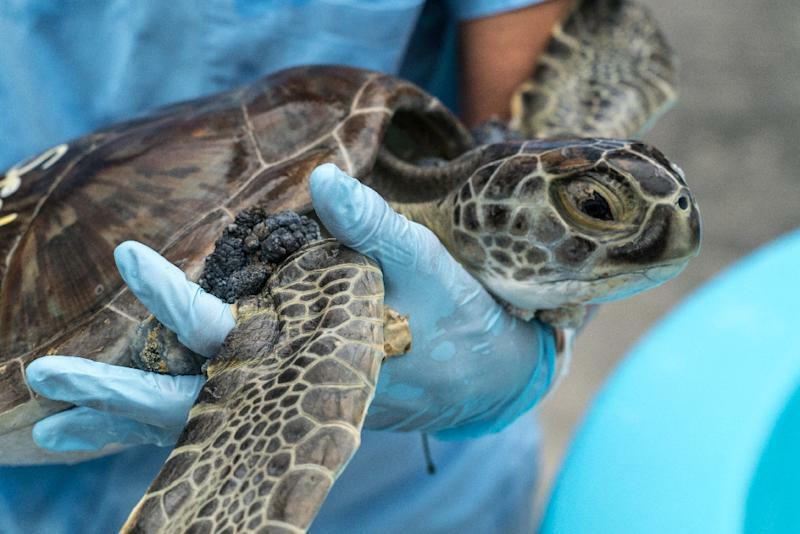 Green sea turtles were first listed as endangered species in 1976, but are now nesting in record numbers -- 28,000 nests counted last year in Florida, up from fewer than 500 decades ago. 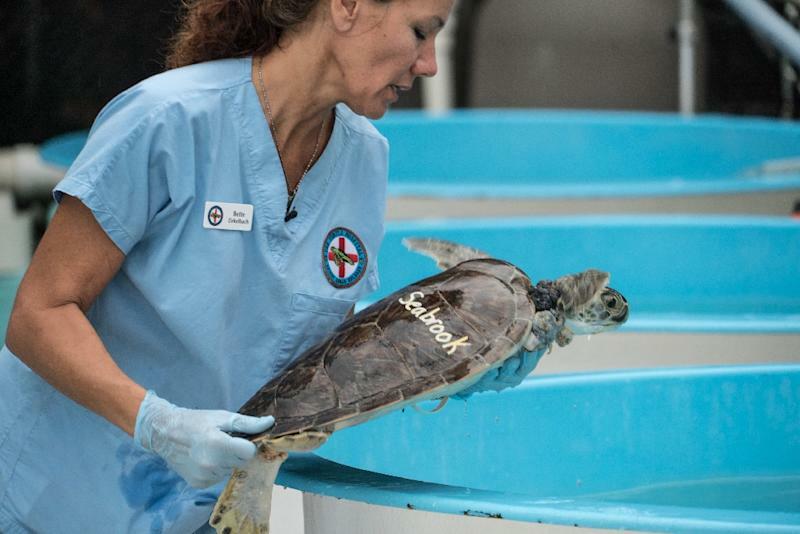 Last year, it treated 173 sea turtles -- 119 of them with fibropapillomatosis -- according to manager Bette Zirkelbach. 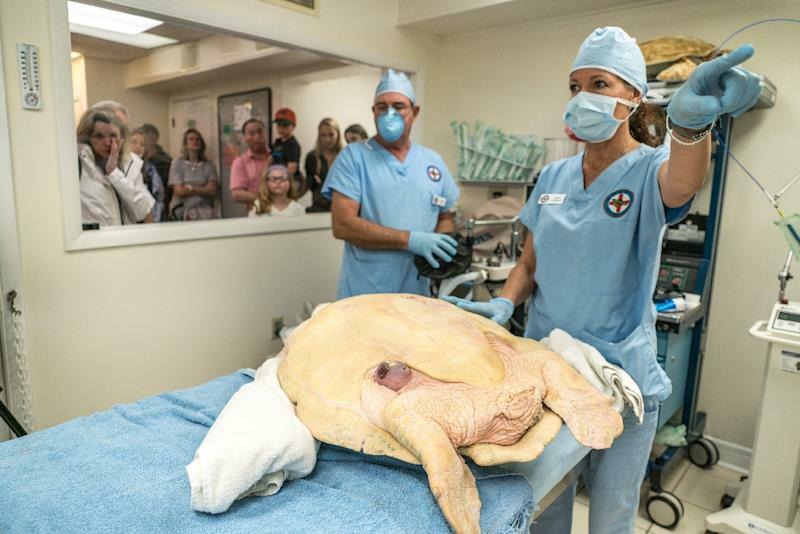 Next, the biggest patient of the day -- a 190-pound (87-kilogram) male loggerhead turtle that may be as old as 70, has been hit by a boat and hasn't been eating.